One of the easiest pieces of maintenance for the Spec Racer Ford Gen3, draining the Breather Bottle. 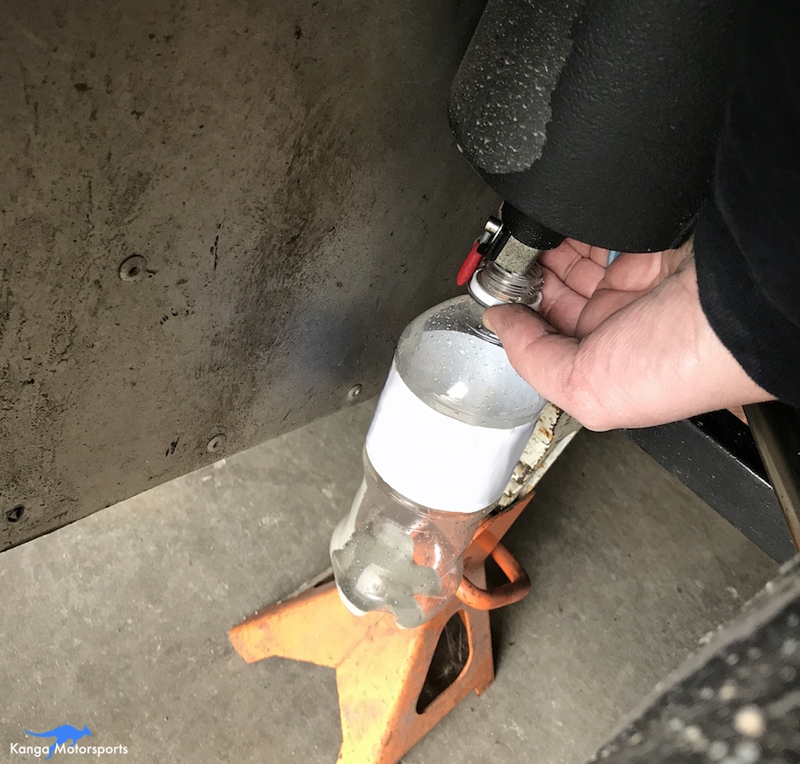 The bottle is located in front of the rear left tire, therefore it is important to drain so that built up vented oil doesn’t get on the rear tire. The breather bottle has a small ball valve at the bottom. Place an empty bottle below and drain the vented engine oil by twisting the valve down. The fluid that comes out is a frothy grey looking oil a little like milk froth for coffee, hence many racers have called the breather the cappuccino bottle. Drain after each track day to ensure it doesn’t fill up and overflow. Dispose of the oil safely with your used motor oil.